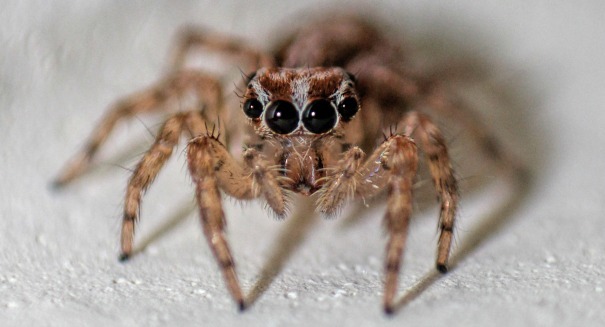 A remarkable new study claims that a fear of spiders may be built into our DNA, as it found that babies reacted differently to them than other creatures. Many people have a fear of spiders, which is known by it’s name Arachnophobia. There’s even a famous horror movie about this fear. But a new study finds that we don’t learn this fear, it’s actually embedded into us at birth, and it may have been a part of our DNA for millions of years. It’s a finding that explains why people in western, industrialized countries have this fear, despite the fact that there are almost no poisonous spiders or snakes there. The study found that babies react strongly to images of spiders and snakes compared to other creatures. It’s the first study to examine infants as opposed to adults or children. The study tested whether the babies could spot the spiders and snakes faster, and it didn’t specifically test fear. We may have evolved this fear as long ago as 40 to 60 million years.